Shenzhen became the first city in the world to use electric vehicles for 100% of its public transport. 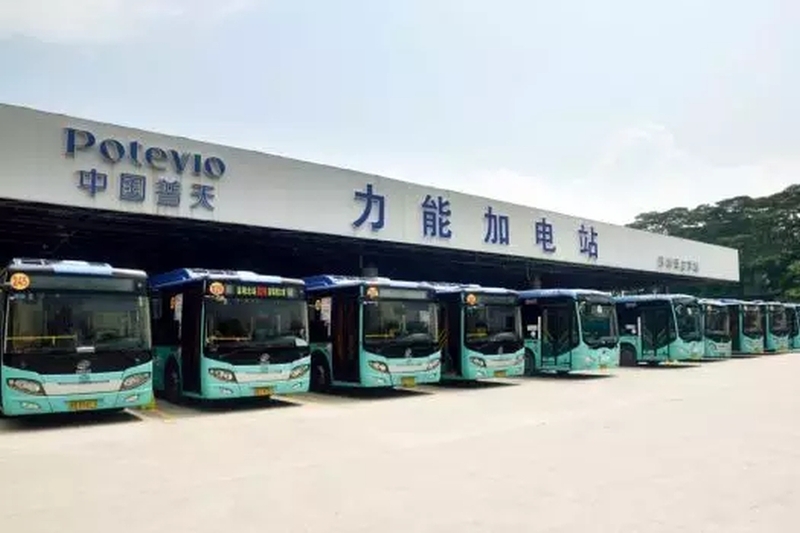 During a press conference, the transport commission in Shenzhen announced that all buses running in the city were electrically powered. At the same time, it is a record-breakingly large fleet of 16 359 electric buses and 12 518 electric taxis. The city wants to gradually exchange the rest of the taxi fleet and plans to complete this operation by 2020. There are 500 cars left to achieve this goal. Shenzhen's electric buses consume up to 72.9% less energy than Diesel powered machines. This reduces carbon dioxide emissions by approximately 1.35 million tonnes per year. This has a significant impact on air quality in this 12 million people city. Shenzhen became the first city in the world to use electric vehicles for 100% of it's public transport. The transformation of the public transport fleet was made possible by the national clean energy programme, which selected 13 cities. With the financial support of the state, they were to eliminate combustion vehicles. In 2017, the city donated $490 million to support electromobility and the construction of charging stations. This encouraged operators and private companies to build chargers. A total of 510 charging stations for electric buses and 8000 charging stalls were created. Buses in Shenzhen are charged to 100% in less than two hours. All drivers have received special training and examinations to enable them to drive the electric buses safely and optimally.